UMC eXpert is a consultancy company that specializes in the international distribution of knowledge on patient care, research, (hospital) administration and management, training and education. The way UMC eXpert operates is by connecting a need for information in one country, to the available expertise in The Netherlands. The Dutch are known worldwide for their efficiency. Despite ranking 135th in size and 66th in number of people, The Netherlands stand proudly in the top 25 economies of the world. Furthermore, the Dutch have a long tradition of international collaboration, having started the world’s first multinational corporation and stock exchange. The knowledge, products and people that UMC eXpert has available come from many different knowledge partners in The Netherlands, including universities, university medical centers, consultancy firms and knowledge institutions. The mission of UMC eXpert is to make Dutch expertise available world-wide. UMC eXpert was created in 2014. As a subsidiary of the University Medical Center of Utrecht it has been founded on a long tradition. 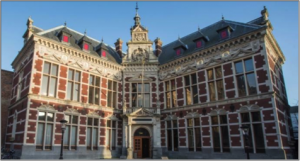 The University of Utrecht was established in 1636 and ranks 56th in the world. In the Shanghai Academic Ranking of Word Universities 2015, 12 universities in The Netherlands were listed in the top 400. Expertise can have many different forms, such as state-of-the art knowledge, newly developed products, evidence based training programs, or experienced professionals. It covers areas like the full domain of patient care, the complete chain of fundamental research up to clinical research, all levels of training and education and (hospital) management and process improvement. UMC eXpert makes this expertise available worldwide in a sustainable way, creating long lasting partnerships. One of the USP’s of UMC eXpert is that it customizes the collaboration procedure for each project. It does not only offer knowledge, products and people but can extend its services to incorporate all phases of a project, from initiation, design and development to evaluation, optimization and long-term quality assurance. Copyright © 2019 your partner in medical science. Powered by WordPress. Theme: Spacious by ThemeGrill.